WASHINGTON -- An extreme solar storm is blasting its way to Earth and could mess up some power grids, satellites and radio transmissions, scientists say. It's been several years since Earth has had a solar storm of this size coming from sunspots smack in the middle of the sun, said Tom Berger, director of the Space Weather Prediction Center in Boulder, Colorado. Solar storms happen often, especially during peaks in the solar cycle, and don't directly harm people. But what makes this one more worrisome is its location on the sun along with its strength, he said. "There's been a giant magnetic explosion on the sun," Berger said. "Because it's pointed right at us, we'll at least catch some of the cloud" of highly energized and magnetized plasma that can disrupt Earth's magnetic sphere, which sometimes leads to temporary power grid problems. The first part of the storm hit the Earth yesterday with minimal effects on radios and satellites. 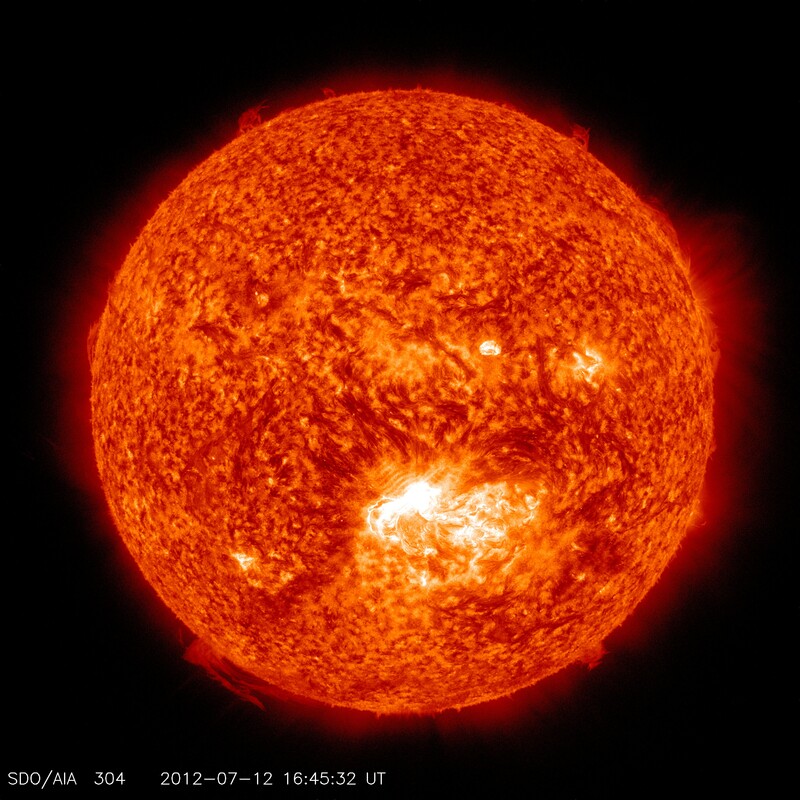 Forecasters from NASA and NOAA predict that the solar storm's impact will peak some time during the day Friday. But increased atmospheric electrical charge from the event will last for hours or days longer. It's also expected to cause an intense and unusually widespread aurora borealis. "We might see it in the mid-Atlantic states Friday night. If the weather is clear, you might see green or bluish-purple, maybe red, which is rare. Just look up," Alex Young, Associate Director for Science at NASA Goddard, told CBS News. In July, scientists said a massive solar storm narrowly missed hitting Earth in 2012. "If it had hit, we would still be picking up the pieces," Daniel Baker of the University of Colorado said.